New Delhi, January 18: The Election Commission of India (ECI) will release the schedule of 2019 Lok Sabha polls in the first week of March, reports citing top sources said on Friday. The general elections, across 543 parliamentary constituencies, will reportedly be held in 6 or 7 phases. The results are expected to be declared by mid-May. On the day when the ECI will release the election schedule, the Model Code of Conduct will come into effect, barring the Narendra Modi government at the Centre from taking any major policy decisions. The central government will play the caretaker role till the polls get concluded. 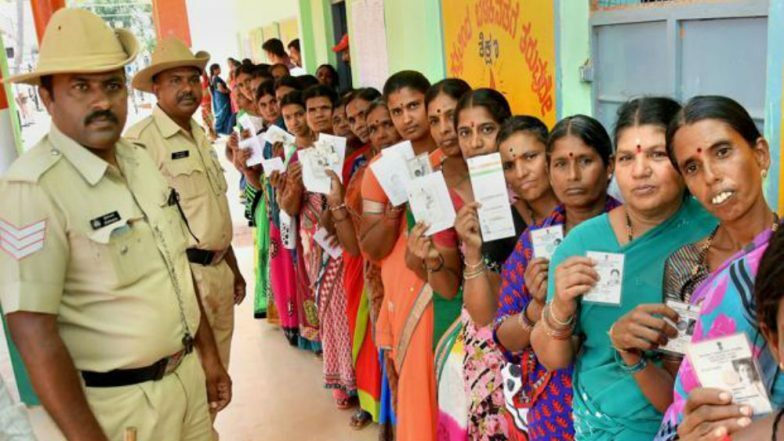 LS Polls 2019: Chandrababu Naidu Sees PM Modi's Ploy Behind KCR-Proposed Federal Front. The rationale behind conducting the general polls in several rounds or phases is to ensure adequate security cover. The police administration, along with the SRPF and the CRPF will be heavily deployed to ensure the smooth conduct of elections. In the upcoming polls, the ruling BJP at the Centre is being challenged by a proposed mahagathbandhan or a state-wise alliance of Opposition parties. The plans of the latter, however, could be spoiled by a third or federal front -- an idea being proposed by Telangana CM K Chandrasekhar Rao and supported by the likes of his Odisha counterpart Naveen Patnaik. In the 2014 general elections, the then incumbent UPA alliance was defeated by the BJP-led NDA by a brute mandate. Narendra Modi was elected as the new Prime Minister, with the BJP winning 282 of the 543 Lok Sabha seats. The Congress was reduced to 44 constituencies -- it's worst ever electoral performance in India's democratic history.